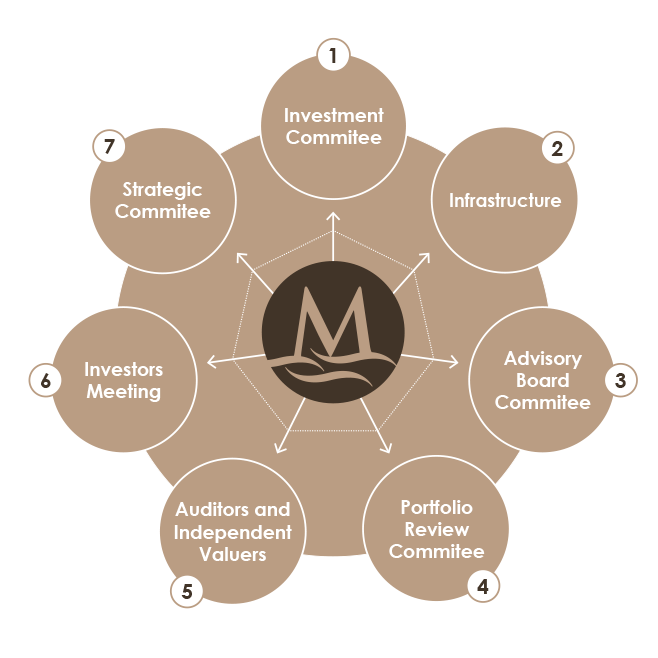 At Mediterrania Capital Partners we are committed to the highest standards of Corporate Governance. Our Governance Framework is applied on our own policies and procedures and those of our Partner Companies providing rigour, consistency, accountability and transparency on the way business is conducted. Offices, IT, accounting and legal services, fund administration and regulated entities. CEO, Partners, Senior Directors and Investment Associates. Financial statements of the Management Company and funds under management are audited by Deloitte and PwC, and independently valued by KPMG. Includes all the Limited Partners investors. Consists of 5 to 8 members to be selected according to their experience in Africa and in Private Equity.